Why would I need self storage in Havertown, PA? There are a variety of reasons why you might need self-storage in Havertown, PA.
How much is a storage unit in Havertown, PA? The cheapest storage unit in Havertown, PA is $144.00 per month. What size storage units do you have available in Havertown, PA? In Havertown, PA we have sizes that range from 5'x10' to 10'x15' to suit your storage needs. How much is it for a 5'x10' storage unit in Havertown, PA? The cheapest 5'x10' storage unit in Havertown, PA is $144.00 per month. Havertown is a thriving suburban community in Haverford Township, Pennsylvania. It's about 9 miles west of downtown Philadelphia, providing easy access to the large city's amenities, jobs and entertainment. However, you'll find that you don't need to leave the town to find things to do, because Havertown has plenty to offer. Havertown's history began in 1681 when a group of Welsh Quakers founded Haverford Township on land purchased by William Penn. 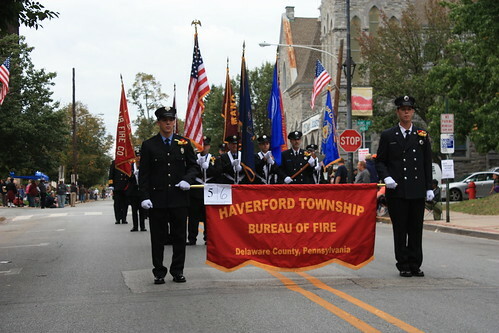 Havertown and Haverford were both named in honor of Haverfordwest in the United Kingdom. In 1682, the first three families arrived in Haverford Township. William Howell, Henry Lewis and Lewis David each selected land along the southern border for their settlements. The community was a popular destination for Irish immigrants, providing a welcoming place to establish their homes and farms. Up until the 20th century, the area was primarily agricultural land. Between 1900 and 1925, however, the population of Haverford Township nearly doubled and families began to purchase land in Havertown for their homes. Even with the large population growth over the years, many Irish-Americans still live in Havertown. The area takes pride in its Irish heritage and is home to many Irish stores and pubs. Many residents also lovingly refer to Havertown as Ireland's 33rd county. Even today, the area welcomes many people immigrating from Ireland. There are plenty of things to do and see in Havertown, so you'll never have to leave the small town if you'd prefer to stay close to home. With more than 30 parks and recreational facilities, you can find places to enjoy the outdoors and sports around every Havertown corner. The Haverford Township Skatium is a popular spot for locals, offering a large, multi-use ice rink for skating, hockey and more. The community also recently opened the Haverford Area YMCA, which (together with the Community Recreation and Environmental Center) provides a wide range of sports and activities for children and adults. Havertown also hosts a number of local programs that provide education and activities for children in the community. The town's Little Explorers Preschool is where many local children attend classes before enrolling in kindergarten, while school-age children can enroll in the town's summer day camp. The School District of Haverford Township provides public school education for students living in Havertown and the surrounding area. 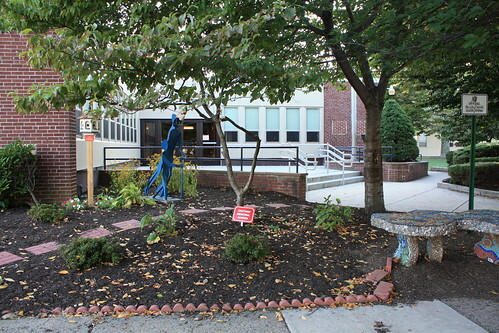 There are a few private schools around Havertown, mostly small campuses affiliated with local churches. Utilities: Major utility companies in the area include PECO and the township of Haverford. Garbage and Recycling: The township of Haverford facilitates trash and recycling collection services in Havertown. You can also arrange for bulky item collection for a small fee. Transportation: The SEPTA public transit system serves the larger Haverford township, offering transportation around much of the greater Philadelphia area. As Havertown grows, so does demand for housing and local home prices. This is good news if you're looking to make a good, long-term investment. There are many housing options to choose from, including single-family homes of many sizes and styles, duplexes, town homes and apartments. Average prices are above the national average, but there are a handful of more affordable, smaller properties if you're working with a tight budget. Our lowest priced units in Havertown, PA average $144.00 per month. 39 people have reserved units in Havertown, PA in the past 30 days. There is 1 location within Havertown, PA's city limits.